Anuja Ravindra Dhir was born in Dundee, Scotland, to Indian immigrant parents. 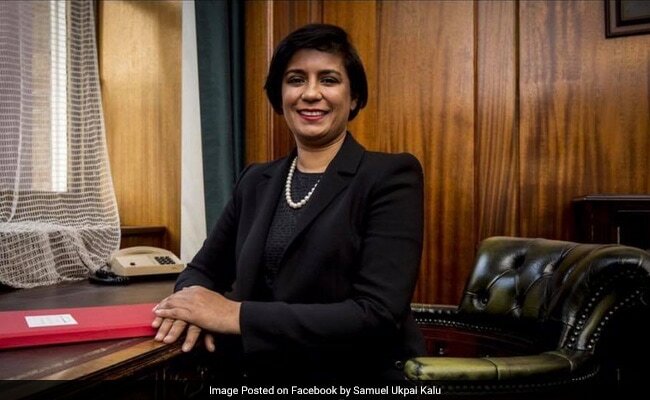 London: An Indian-origin woman has become the first non-white judge to sit at the Old Bailey Court of London. Anuja Ravindra Dhir, who was advised to take up hairdressing by a teacher at her high school, is also the youngest circuit judge currently to sit at the court. The 49-year-old told the media this week that she is often mistaken for a witness or a defendant since she entered the legal profession. "I remember going to a crown court out of London and the man at the gate didn't believe I was a barrister. In the end I had to show him my wig and gown before they would actually let me into the building," she said. "I'm often asked if there is a glass ceiling. I think sometimes there are two ceilings - or no glass ceiling at all. There is one glass ceiling that's in our minds, that's what we think we can achieve so perhaps we impose our glass ceiling and that has happened to me several times... most clients did not want a young, Asian, Scottish female representing them, so that made it harder for me to build a client base," she told the BBC. Ms Dhir was born in Dundee, Scotland, to Indian immigrant parents and studied at Harris Academy before studying English and Scots law at Dundee University. She subsequently won a Gray's Inn scholarship in London, calling to the bar in 1989 where she practised for 23 years as both prosecutor and defence counsel. She recalls her dyslexia in school led her teachers to advice against dreaming of a legal career. "I'm dyslexic so I find it difficult to read and write. And when I went to school in the 1970s in Scotland, women were not encouraged to aim high. When I first said to a teacher at school I wanted to go to university when I was older, she told me that I should aim a little lower and suggested I try hairdressing instead," she recalls. Ms Dhir donned her judge's robes as a circuit judge at the Central Criminal Courts, known as at the Old Bailey, in London in February.